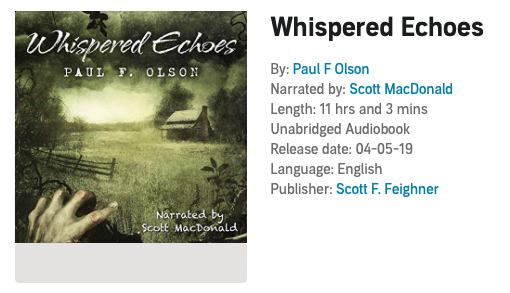 For the first time ever, my short story collection Whispered Echoes is now available as an audiobook. Read by the incomparable Scott MacDonald, it features all of the stories included in the Cemetery Dance limited edition hardcover and Crystal Lake Publishing paperback and e-book, including the World Fantasy Award-nominated novella “Bloodybones.” Also featured are Chet Williamson’s wonderful foreword, read by Chet himself, and my introduction to the volume read by … well, me. Available at iTunes, Amazon, and Audible.com!